South Carolina roads are dangerous places. 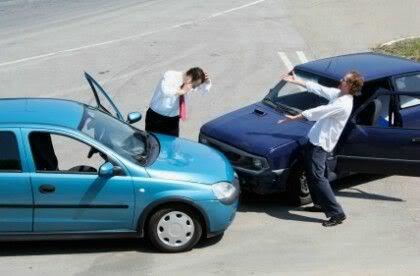 No matter how careful you may try to be, you cannot control the actions of other drivers. As you travel the highways and streets of this state, there is simply no telling how many distracted drivers around you are making phone calls, texting, emailing, surfing the internet, eating, drinking, putting on make-up, or changing radio stations. Other drivers are speeding, failing to use turn signals, tailgating, and running stop signs and red lights. There are also those drivers who get behind the wheel when they are tired or intoxicated. Unfortunately, very often drivers who fail to take proper precautions end up hurting those who do. Car accidents injure both you and your property. Your car may be damaged in severity ranging from a dented bumper to a total loss. Personal property in your car, including stereo equipment, CDs, child seats, cell phones, computers, sports equipment, and anything else you might be carrying may be broken or destroyed. Finally, you or your loved ones may suffer car accident injuries including broken bones, burns, cuts and lacerations, or even death. When you’ve been injured in an car accident/ auto wreck in Spartanburg, the personal injury attorneys at Anderson, Moore, Bailey & Nowell, LLC are here for you. Our attorneys will determine whether they think you have a valid claim. We’ll then try to negotiate with the at-fault party’s insurance company and their attorney, as well as your own insurance company, to attempt to reach a fair settlement and obtain just compensation. We are also ready and willing to take your case to trial and try to establish the other party’s liability and your damages in front of a judge and jury. South Carolina has laws that limit the amount of time you can bring a lawsuit following an accident. Call us today at 1-888-234-2483 or (864) 641-6431 for a free consultation. We understand that car accidents are immensely stressful events. They are unexpected and can have serious consequences, both in the short run and the long term. Here at AMBN, a law firm serving the Upstate area, believe that it is always best to be prepared. You may not expect to be involved in a car accident, but you very well may be at some point in your life. Because of this fact, it is important to know what to do. This article will offer some tips for a recovery, both in the immediate aftermath of a car accident and in the long term. If you have any questions, please reach out to us. We’d love to help! Take photos of the scene of the accident. Photos are strong documentation that can be used to bolster your claim in court and with insurance companies. If you take the photos with a smartphone, there will be a time stamp that gives irrefutable proof of its validity. If you are unable to take photos, see if someone nearby is able to. It is important to get the police involved because of police reports. Police reports give objective accounts of what happened. Along with photographs, police reports are very strong evidence and cannot be easily disproved. It is critical you seek professional medical care following an accident, even if you feel fine. Due to hormones like adrenaline, you may not feel your injury until sometime after the accident. Additionally, trained medical professionals can better identify insidious injuries, such as traumatic brain damage. You want to wait to get medical help because insurance companies and other liable parties could then argue your injuries were not due to the car accident. If you seek medical attention right away, you have clear documentation that the injuries you sustained were, in fact, from the car accident. Insurance companies are notorious for trying to get accident victims to accept less than what they deserve and are legally entitled to receive. 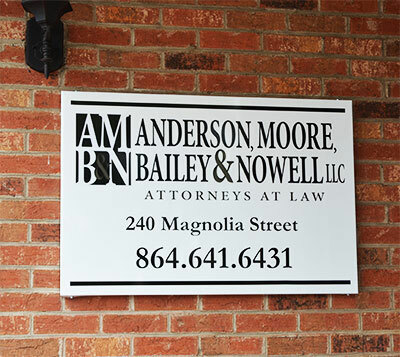 With a good lawyer, such as from Anderson Moore Bailey & Nowell, you will not have to worry about that. We know all of the insurance company’s tricks, and we will never allow one of our clients to be taken advantage of. Get follow up care from a medical professional. If you have sustained a chronic injury, such as spinal cord damage or a traumatic brain injury, it is imperative for your well-being to get quality professional care. Not only will it better your quality of life, you will serve as an example to others that life goes on. Furthermore, you injuries could be covered in the settlement you get from the liable party.